Moixa USBCELL is a great example of sustainable product design. Moixa Energy’s eco-friendly USBCELL battery category has been short listed for this year’s prestigious National Energy Efficiency Awards. It is also finalist for the 2007 Innovation in Engineering Awards alongside a Nuclear Power Station and High Speed Hybrid Train! 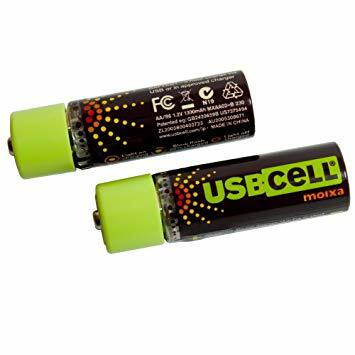 USBCELL Batteries are in rechargeable battery category that aims to reduce hassle, battery landfill, resource and C02 waste. It is easier to re-use anywhere by simply recharging from a USB port. Unlike other rechargeable batteries you do not have to find a power socket to charge your USBCell. Under the top of the AA battery is a USB dongle – the secret to USBCell’s success. You can plug in the battery into your USB socket and within a couple of hours your battery has 5 hours of charge. Every individual, family and every company requires energy. Moixa USBCell helps you make significant changes in utilizing energy more efficiently. Every year over 15 billion alkaline batteries are thrown away globally creating toxic waste, squandering significant resources and C02 emissions. This leads to over 22,000 tonnes of landfill in the UK alone. Each USBCELL, if properly used, can save at least 3kg of toxic landfill and 7kg of C02 compared to disposable alkaline use. Rechargeable batteries offer major advantages, by being re-usable and with USBCELL you can save money and do your bit to help the environment.